‘In my more lucid moments I know I’m dead…’ So begins Edwina’s story, a woman whose spirit remains, long after her body has decayed, trapped in the house she once inhabited. In Now the Day is Over, Edwina serves as the narrator of two stories, set in two time periods, before and after her death. Edwina grew up in early 20th century Britain, and lived a life which spanned across the First World War. In her narration Edwina reveals her childhood, through her adolescence to her time spent serving as a wartime nurse, and later when she becomes the wife of a soldier. Through her words we learn of an unusual gift that Edwina possessed; a deep rooted empathy, the ability to sense a person’s deepest desires, which earned her a somewhat sinister reputation. Later, in modern day Britain, Edwina takes the form of super-omniscient narrator, haunting the house which was once hers, commenting on the lives of the couple who now reside within her domain. Gaye and David Henderson are an unhappy, adulterous couple whose lives are plagued by guilt over the death of their young daughter, Emily. Through her narration, Edwina tells the story not only of Gaye and David, but also of herself, gradually revealing the horrors which tie her to the earth, as Gaye and David are tied to the past. This was my first experience with Husband’s work, and I was completely blown away by the effect it had on me. The story itself combines two of the things I love the most; historical fiction set between the past and present, and ghost stories. I love ghosts. There is almost nothing I love more than to curl up on a dark night and indulge in ‘real’ ghost stories submitted to the likes of castleofspirits.com and reddit.com/nosleep. While Now the Day is Over is not a ghost story in the traditional sense Husband is still able to give the house the domineering, omniscient, icy coldness expressed by those living is ‘haunted’ houses. Gaye and David often shiver, the cat hisses and the house seems devoid of life, cold, sterile. Even the garden is tainted; Edwina’s memories of the old plum trees planted by her brother and her the year before the war carry an ominous undertone, as though the plum trees embody some kind of darkness, a living representation of the guilt which holds Edwina’s soul. And when Edwina discovers that the trees remain only in her memory, the ‘smudge’ which they carry remains in the back corner of the garden, silently watching, spoiling the scene. Edwina’s presence in the house is significant, not only in the grief which she represents but also in the power she possesses as a narrator. David and Gaye cannot see Edwina, and this allows her to accompany them on their most personal journeys; she is able to sit with David while he bathes – ‘I touch his knee that breaks through the water, wanting to calm him.’ – and accompany Gaye to a hotel to meet her lover. But Edwina is able to do something more than just see the characters at their most vulnerable – she has carried through to her death her insight into the minds of others. As a narrator she has the ability to tell exactly how someone is feeling and what they are thinking. This gives the reader an eye into the very soul of the characters. Through Edwina’s soothing narration Husband draws the reader deep into the pages of Now the Day is Over. I was completely drawn into the storyline, desperate to discover the circumstances which prohibit Edwina from moving on, as well as to uncover the circumstances of Emily’s death. The climax does not come until very late in the book. Gaye and David keep their cards close to their hearts, slowly releasing allusions to their daughter’s death; they think of Emily often, but do not talk about her. Eventually each character is absorbed into the tension which has so slowly built up and, completely overwhelmed by grief, makes their confession. When they begin to tell their stories their grief rushes forward in an unstoppable stream, until their words are mixed and their stories combined, with Edwina frantically flitting between the two scenes, retelling the tragic tale of Emily’s death. Edwina’s life was steeped in death. It seems only natural that her death should be the same – a house haunted not only by Edwina herself, but the ghost of grief which follows Gaye and David. Edwina takes the form of the personification of Gaye and David’s guilt, a black cloud hanging over the family, the memory which taints their futile attempt at a fresh start. Ignoring her presence will not make her leave; it takes Gaye and David’s attempt at positive steps to move on to make the shadow of Edwina begin to fade away. It seems fitting that the book finishes with the planting of new plum trees. Fresh saplings, to commemorate a life lost, and to represent the start of a new beginning, one in which the guilt has gradually begun to fade. I enjoyed every single moment of Now the Day is Over, and do not feel I can fault it in the slightest. The intricate storyline, complex characters and stunning language combine to create a truly remarkable novel. Before beginning my review I sat down to flick back through the pages of the book to get my creative juices flowing and was instantly drawn back in. I really had to fight to stop myself reading it all over again. As much as I’d like to, there isn’t the time right now. 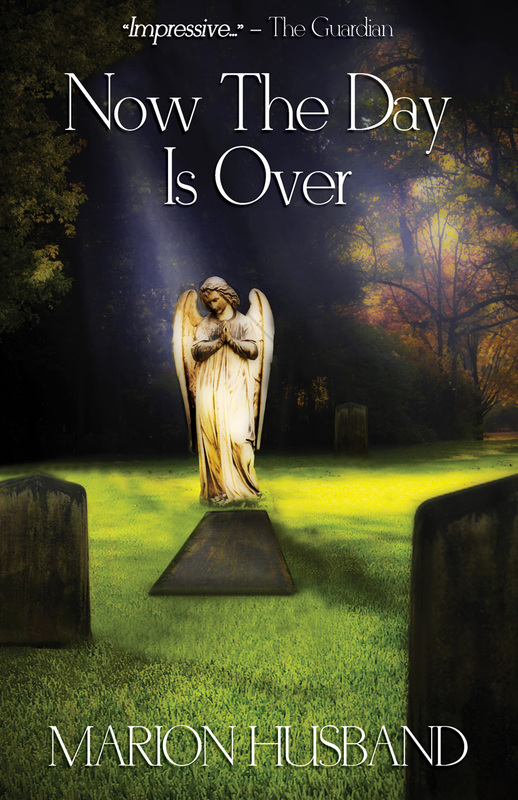 Special thanks go to Sacristy Press for supplying me with a free copy of Now the Day is Over in return for an honest review.